My friend Ted and I were along the Firehole River in Yellowstone National Park. 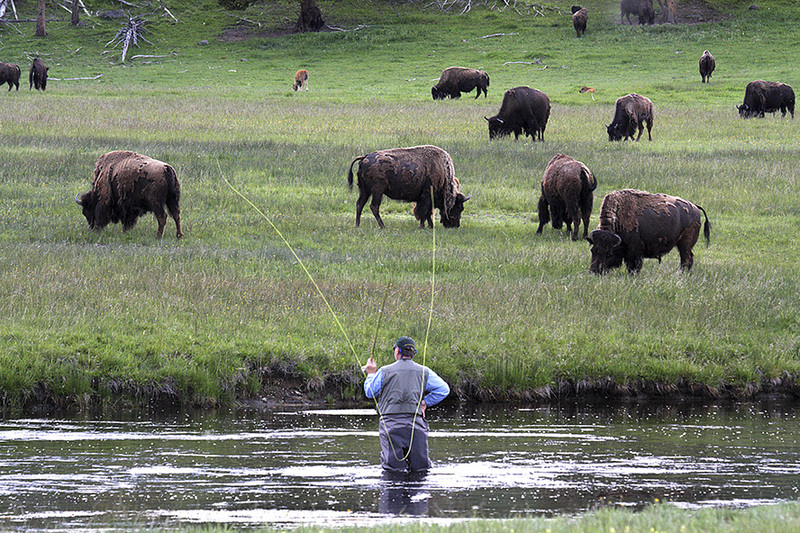 He was presumably fly fishing for trout and I was photographing the nearby flora and fauna that makes Yellowstone unique. I went back to my vehicle and got out my big lens and caught Ted casting for Bison? Since I was about 100 yards away, the telephoto lens distorts the distances of the objects in your image. Everything appears to be closer together than what they actually are. Of course, that was the effect I was going for.